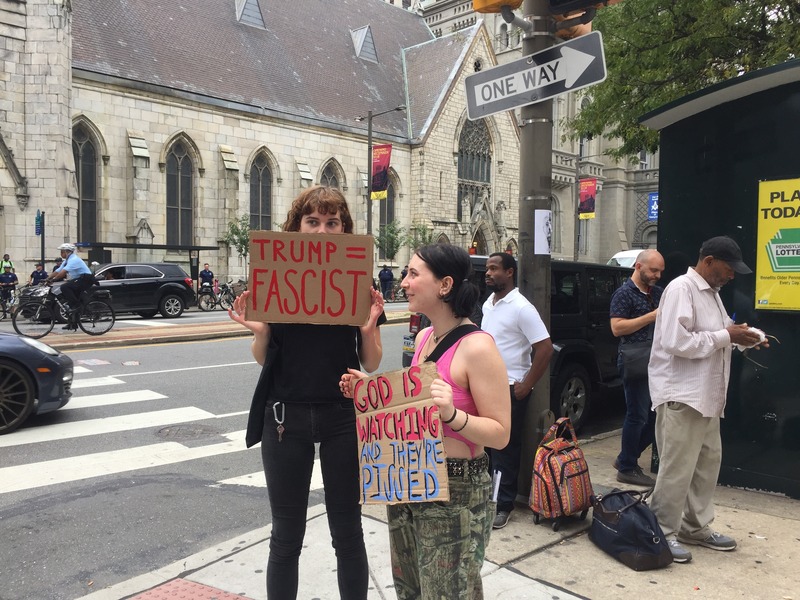 The president came to Center City on Tuesday afternoon. 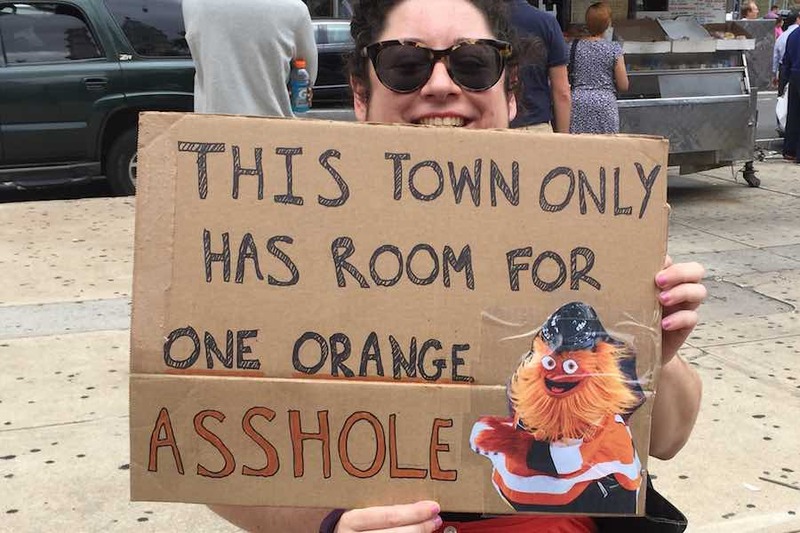 Here's what some Philadelphians had to say to him. 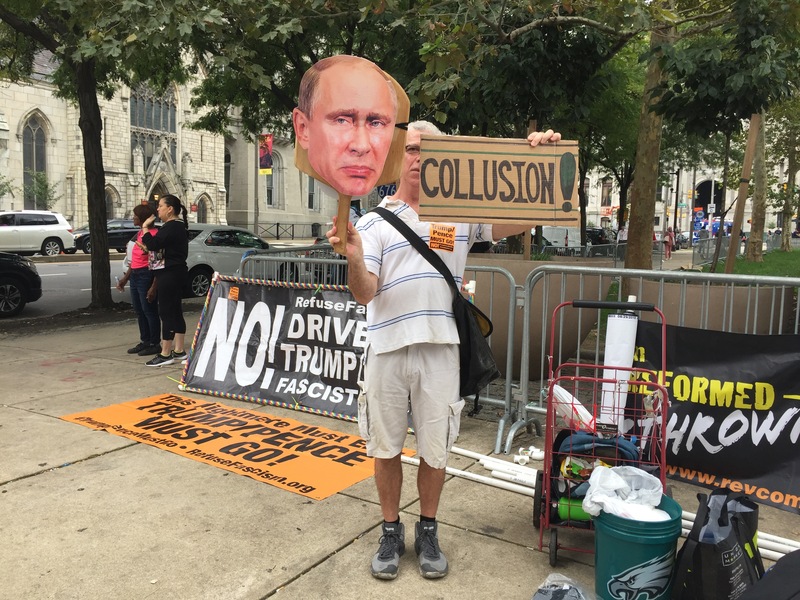 By Claire Sasko·	 10/2/2018, 3:26 p.m.
Donald Trump is in Philadelphia on Tuesday to speak at the annual National Electrical Contractors Association gathering at the Pennsylvania Convention Center. 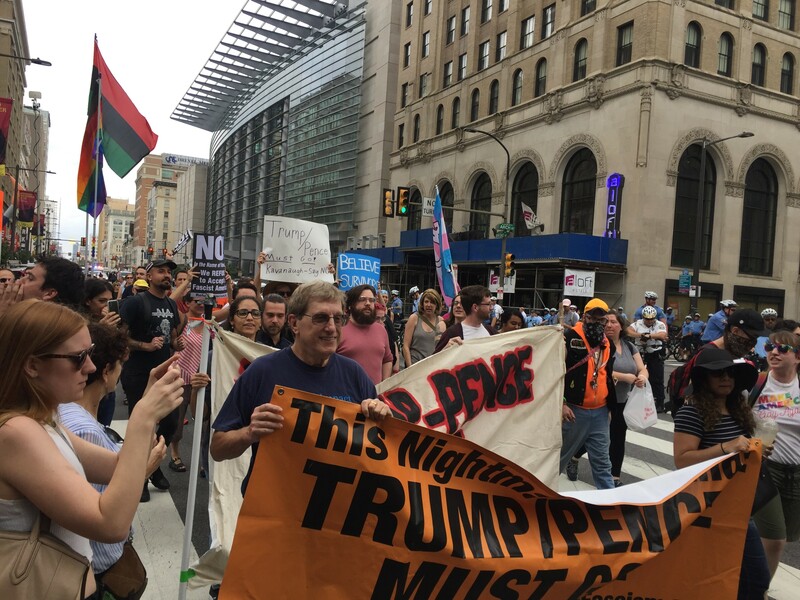 There are road closures (read: traffic), and, of course, there is a massive protest. 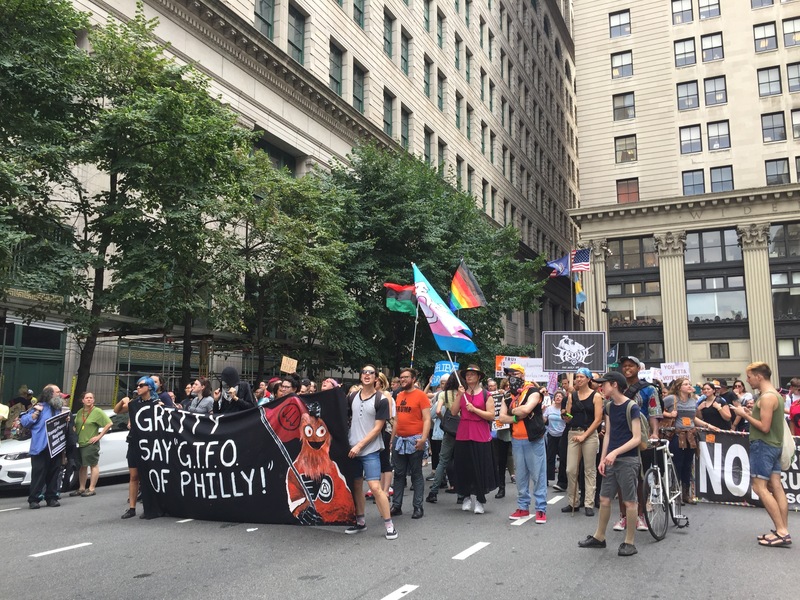 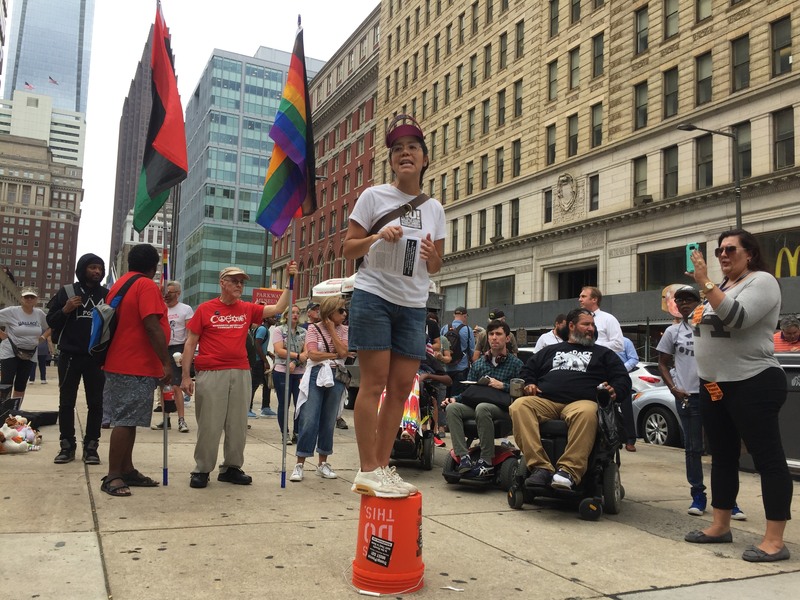 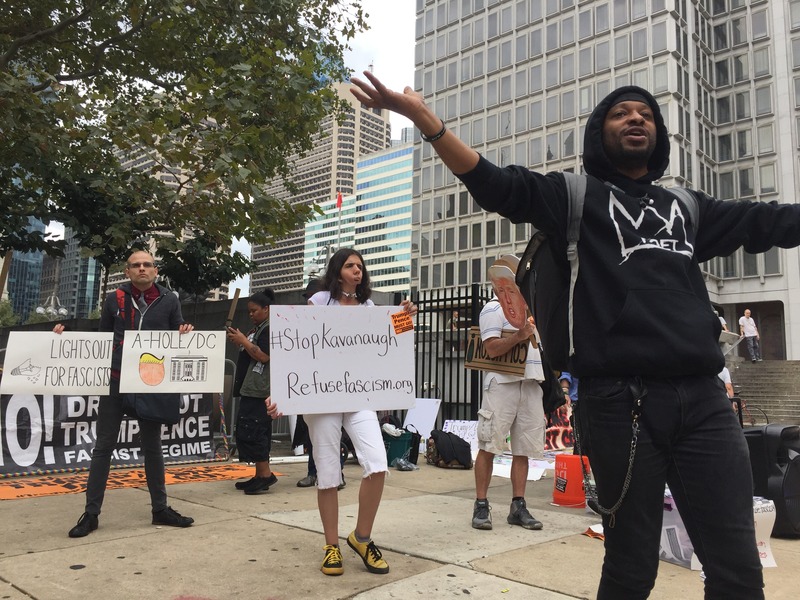 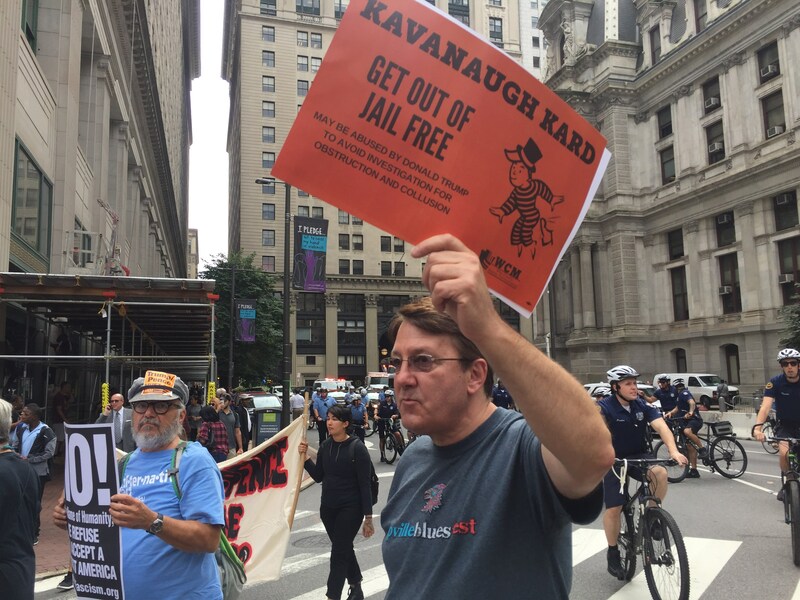 Hundreds of people began gathering at Broad and Arch streets around 1:30 p.m. on Tuesday, just before Trump’s scheduled speaking time of 2:30 p.m. 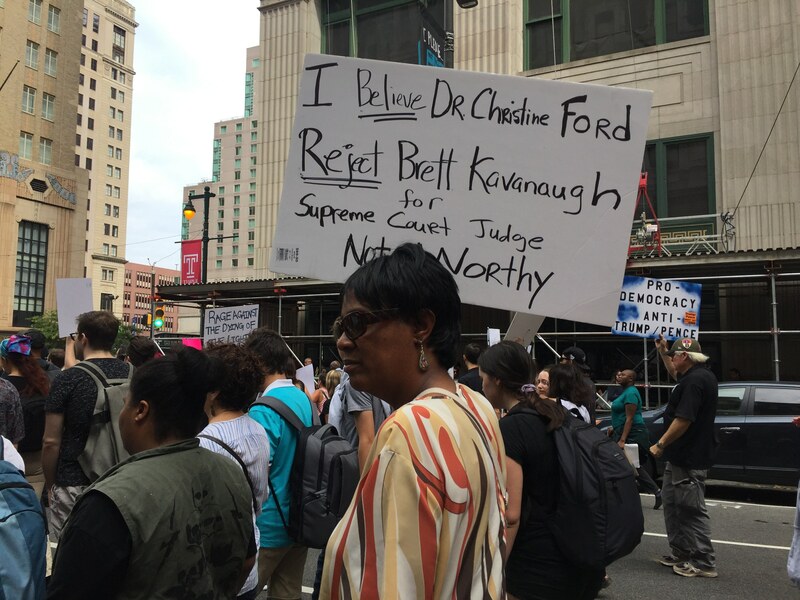 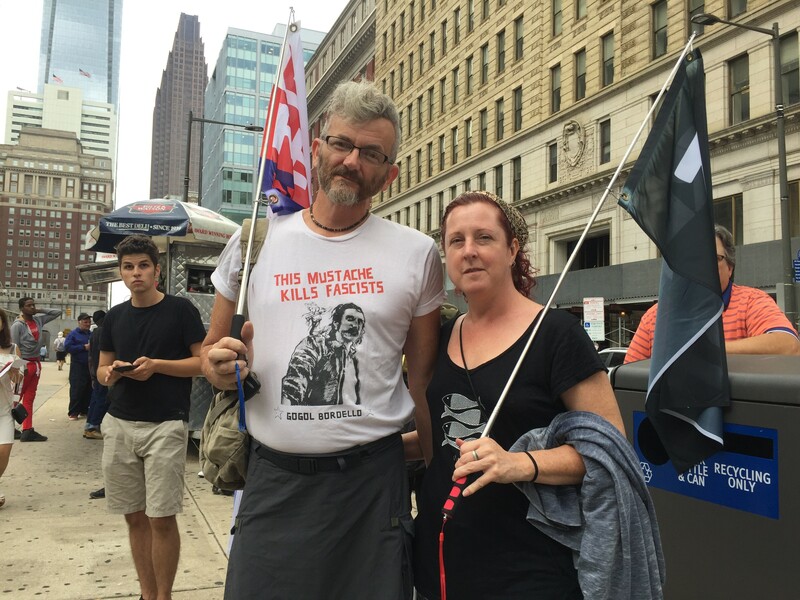 Here are the best scenes from the protest so far, including several Gritty-related signs. 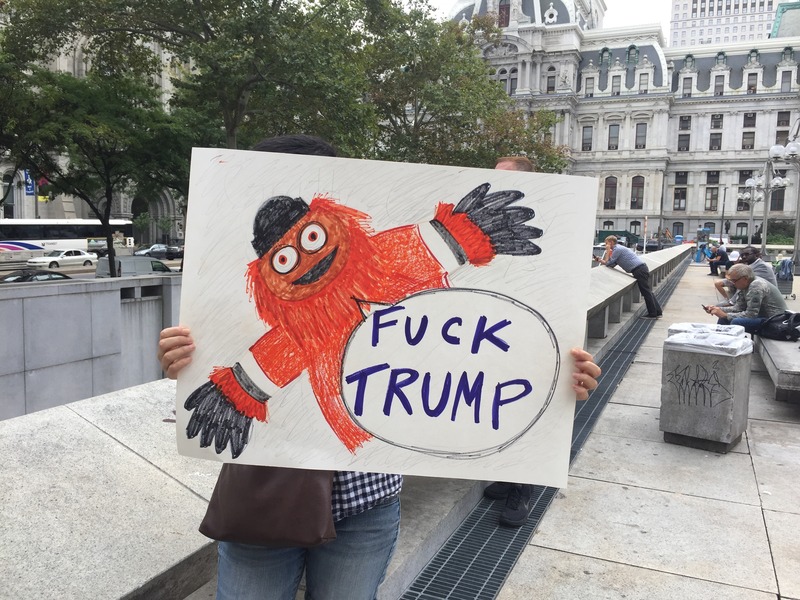 Because what else do you expect of a city completely obsessed with our new, extremely bizarre, mascot, who is somewhat Trumpian himself?